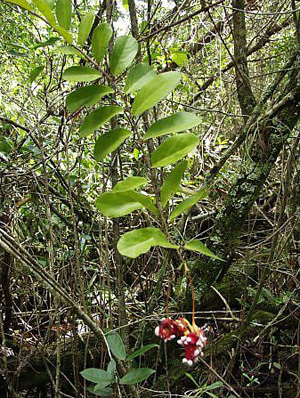 General Landscape Uses: Accent flowering shrub or scandent woody vine. Also useful in buffer plantings. Ecological Restoration Notes: An occasional element of coastal thickets and hammock margins. 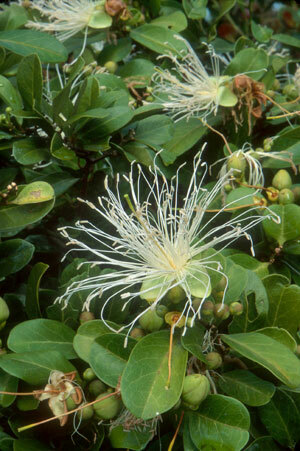 Availability: Grown by one or two native plant nurseries in South Florida. Available in Lake Worth at Amelia's SmartyPlants (561-540-6296). Description: Clambering shrub or high climbing woody vine, rarely a small tree. Bark smooth and grayish. Leaves 2-4 inches long, sometimes longer, with orange leaf stems. Dimensions: Typically 10-20 feet in height or more. Scrambling and often broader than tall. Range: Monroe County Keys north along the coasts to Volusia and Collier counties; West Indies, Mexico, Central America and South America. For a digitized image of Elbert Little's Florida range map, visit the Exploring Florida website. Soils: Moist, well-drained sandy or limestone soils, with humusy top layer. Salt Wind Tolerance: High; can tolerate moderate amounts of salt wind without injury. Flower Color: Pink to white. 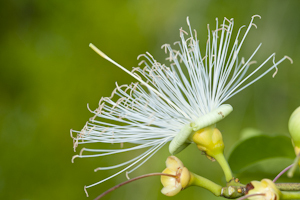 Flower Characteristics: Showy, the long stamens to about 1 1/2 inches long. Fragrant, opening in the evening. Flowering Season: Spring-summer; peak in summer. 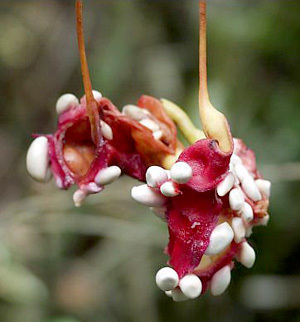 Fruit: Green capsule, to 6" long, splitting open to expose white seeds imbedded in scarlet pulp. Wildlife and Ecology: Provides food for birds. Larval host plant for Florida white (Appias drusilla) butterflies; occasional larval host for great southern white (Ascia monuste) butterflies. Horticultural Notes: Can be grown from seed in a community pot in light shade to full sun. Transplant after first true leaves form. 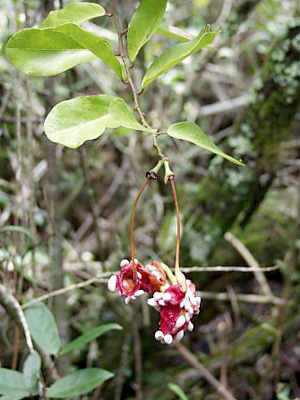 Comments: The flowers are more conspicuous than on Jamaica caper (C. cynophallophora).